Paw Patrol Fold N’ Go Patio Chair Just $7.09! Down From $15! You are here: Home / Great Deals / Amazon Deals / Paw Patrol Fold N’ Go Patio Chair Just $7.09! Down From $15! This is great for your kids! Paw Patrol Fold N’ Go Patio Chair is currently on sale at Amazon for just $7.09 down from $14.99! Please note that this is an add-on item and will ship with a qualifying order of $25! 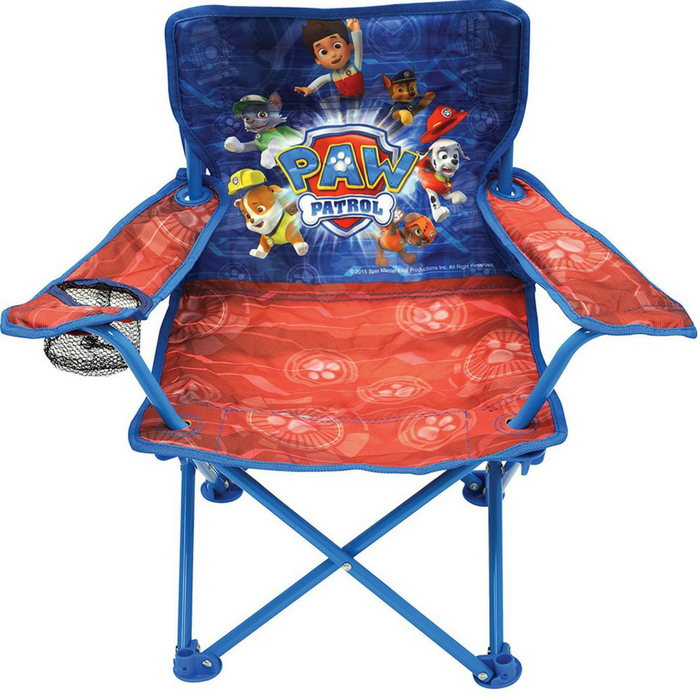 The Paw Patrol Fold N’ Go Chair has colorful character graphics and is great for indoors or outdoors. It has a sturdy metal tubular construction. It folds for easy storage & comes with its own carry bag. Each chair has a safety locking mechanism. PLUS, no assembly required which is really convenient!